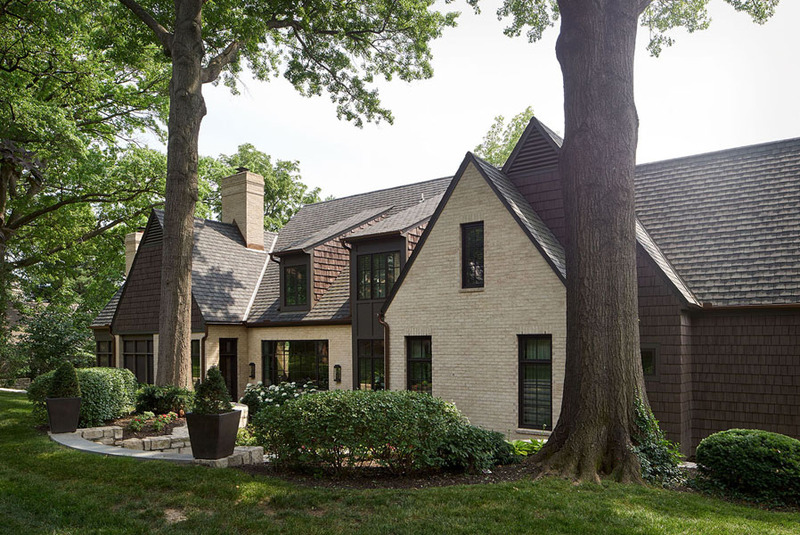 This new 1-1/2 story, 4 bedroom home reflects our modern interpretation of the classic Tudor style, and is situated in a heavily timbered hillside in Mission Hills, KS. 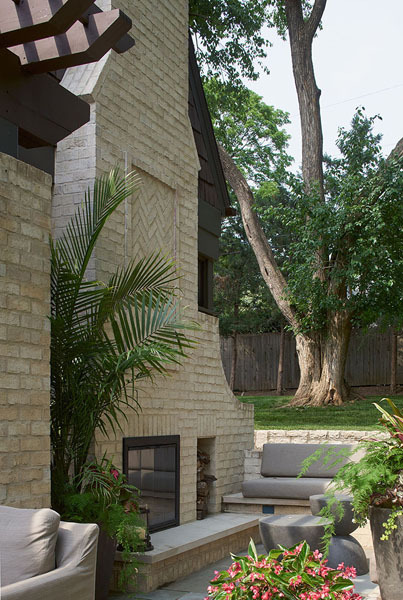 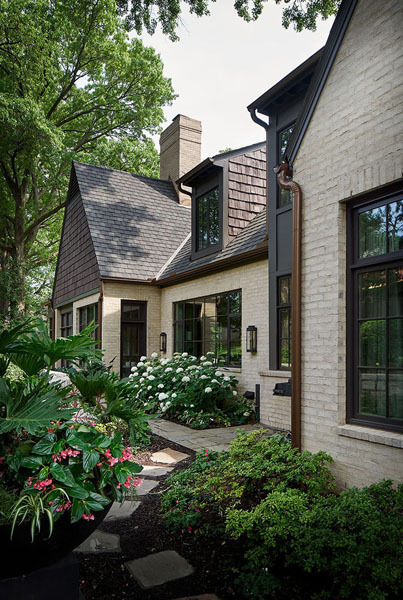 External materials include blond brick; cut limestone surrounding the graceful entry, and painted cedar shingle siding, all aimed at integrating the house with its landscaping and the carefully preserved existing mature oak trees on site. 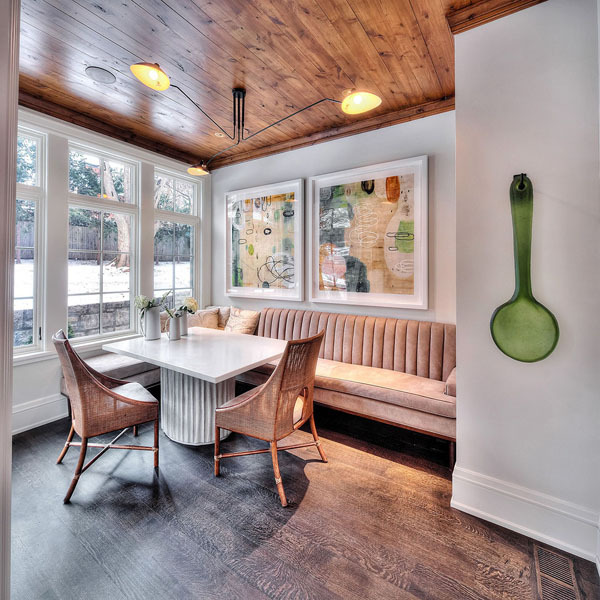 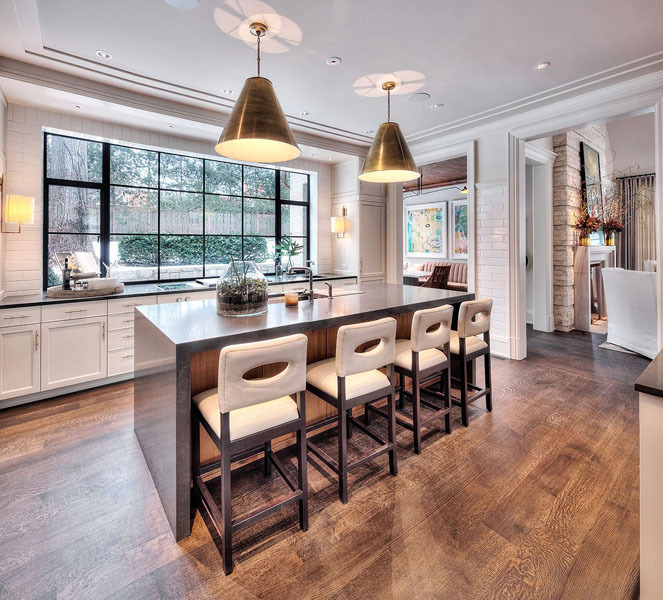 The first floor is based on an open floorplan combining a large light-filled kitchen with an everyday living room and a casual and formal dining areas. 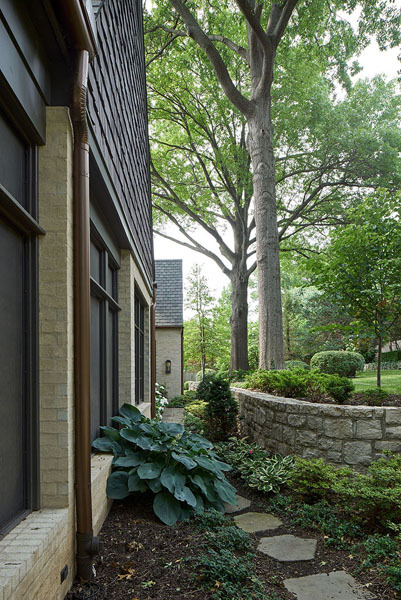 The use of a large expanse of slim profile steel windows and doors in the kitchen and family room ensures a natural flow from inside to the pergola covered patio.